This is our biggest patch yet! 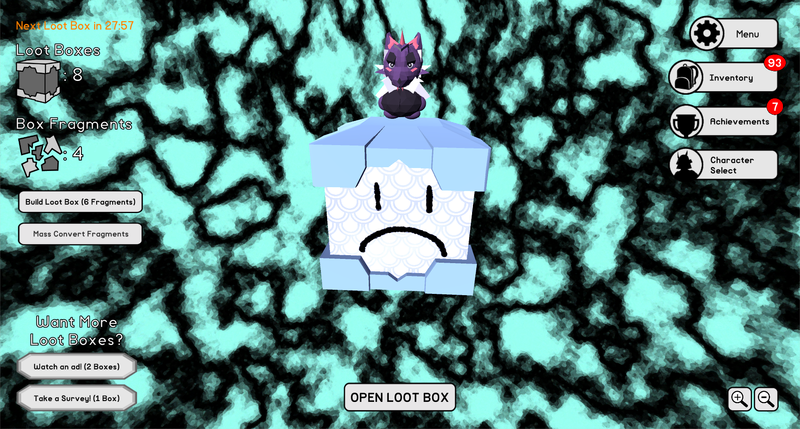 With it comes some new loot from games from other creators in Santa Cruz, some bug fixes, a few changes in general and quite a few specifically to 1DChess. We're still at work on the exciting news but stay tuned on our Twitter (@lootboxsim) for when we announce it.